The remains are quickly identified as seven-year-old Jessica Collins. The missing girl who made headline news when she vanished twenty-six years ago. As Erika tries to piece together new evidence with the old, she discovers a family harbouring secrets, a detective plagued by her failure to find Jessica, and the mysterious death of a man living by the quarry. Is the suspect someone close to home? Someone doesn’t want this case solved. And they’ll do anything to stop Erika from finding the truth. 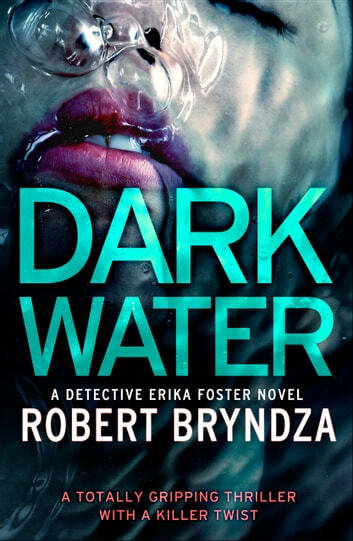 Robert Bryndza has done it again. Brilliant book, brilliant writing. If you haven't read the Erik Foster series you are definitely missing out. Can't wait for the next one. I received a copy of this book from Netgalley in exchange for my honest review. This book is the third installment of the Erika Foster series and the books just keep getting better and better! In this book I feel like we know Erika so much more and I love thst she worked with Peterson and Moss again, two great characters in their own right. The book was done so well, I had absolutely no idea who the killer was going to be, very suspenseful with a lot of surprises! An excellent read! I cannot wait for the next one! 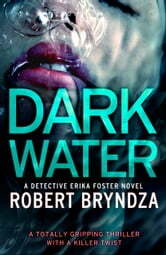 Dark Waters kept me on the edge of my seat. Had a hard time putting the book down. When I had to I couldn't wait to pick the book up again. When the book ended I still wanted more. Great reading.